Steven Stamkos Tampa Bay Lightning Signed Adidas Authentic Hockey Jersey. Adidas Authentic Pro Hockey Jersey. 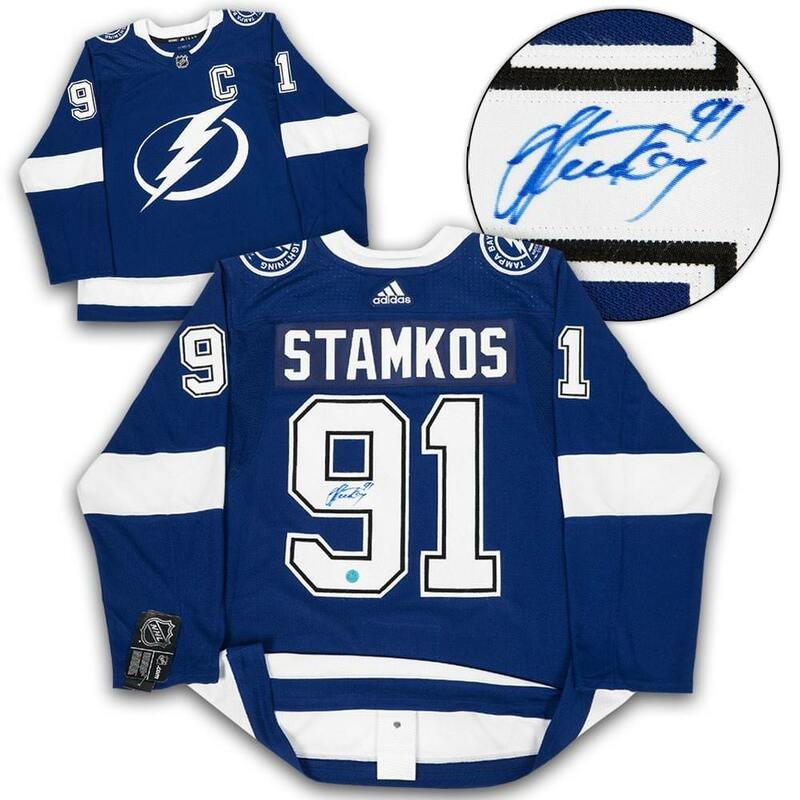 This Tampa Bay Lightning Hockey Jersey has been hand signed by Steven Stamkos. A.J. Sports World guarantees this autograph with a Certificate of Authenticity and tamper resistant hologram from A.J. Sports World.